She tried to give an elephant a piggy back! 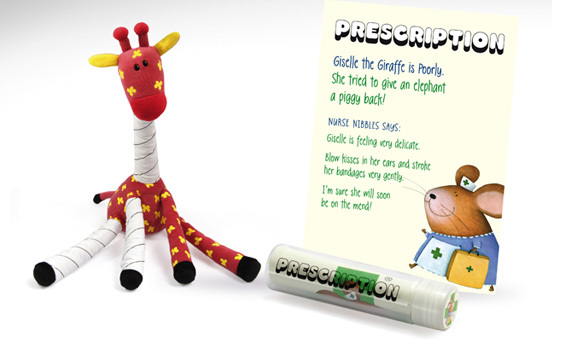 10" poorly soft toy with prescription from Nurse Nibbles! Giselle the poorly giraffe has bandages on her neck and two of her legs. No bandages may be removed. Giselle has been safety tested to European standard EN71 and is suitable for children of all ages.